The Albrecht family story revolves around the history of the Aldi supermarket chain, originating in Essen, Germany but now successful in many countries. Brothers Karl (1920-2014) and Theo (1922 -2010) Albrecht founded Aldi after WW2. The Aldi business is now run by Karl’s son, Karl Jr.(1948) and daughter Beate Heister(1950), and Theo’s son Theo Jr.(1950) and the heirs of his brother Berthold(1954-2012) – wife Babette and five children. 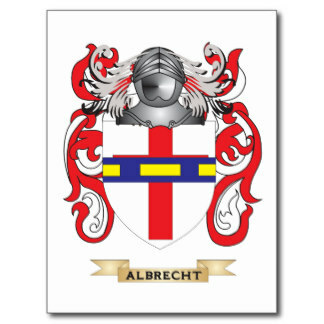 So just how rich are members of the Albrecht family? Forbes magazine estimates Karl and Beate’s net worth at over $21 billion, and Theo’s at over $19 billion in 2015, making them respectively 37th and 49th richest in the world, and putting them in the top five of the richest people in Germany. The Aldi business has been very generous to the family. Karl and Theo initiated a discount revolution in German retailing – the Aldi supermarket chain is still based on their no-frills, low-price strategy. They were so successful, that in 1961 the brothers split ownership of, and responsibility for the stores: Karl took the stores in southern Germany, plus the rights to the Aldi brand in the UK, Australia and the US, and Theo the stores in northern Germany and the rest of Europe, subsequently acquiring the US grocery chain Trader Joe’s in 1971. Karl Sr. resigned from the operational business of Aldi Sued in 1994, and stepped down from its advisory board in 2002. The highly secretive company had estimated sales of around $60 billion in 2014. Its capital mostly resides in a family foundation, the Siepmann Stiftung (formed in 1973 using the maiden name of Karl and Theo’s mother). At the time of his death, Karl Sr. was ranked as the richest person in Germany. Beate Heister has never worked at Aldi Sued but sits, together with her husband Peter and her son Peter Max Heister (one of six children), on its advisory board. Karl Jr., who has no children, has worked in different positions at the company but withdrew from professional duties to battle a diagnosis of cancer (which he has overcome). The Siepmann Foundation is believed to own at least 75% of Aldi Sued, with the rest owned by charitable foundations that support cardiovascular system research as well as cultural and other projects. Beate’s husband and children, along with Karl Jr.’s wife, Gabriele Mertes, are all believed to share in the fortune. The continued sources of their net worth are easy to see. Theo Sr. retired from daily store operations in 1993 and then remained as a chairman on the board until his death in 2010. In 1971, he was kidnapped and a ransom of approximately $2 million was paid for his release. His kidnappers were eventually caught by authorities, but only half of the money was recovered. Albrecht later tried to claim the ransom as a tax deductible business expense in court. Theo Jr. and Berthold were left with ownership of Aldi Nord and US supermarket chain Trader Joe’s. Berthold Albrecht died in 2012, leaving his half share to his wife, Babette and their five children. All members of the Albrecht family are careful to keep their personal lives very private, and very few details are known about their activities outside of the business sphere.